Charliejulliet removed his onboard charger completely and uses a portable chademo. So the obc must not be involved. All I’ve got is canion but I’ll pick up one of those mut3 clones if it would be useful. Whew! I was hoping that it was not related to the OBC. What issues would prevent quick charge from initiating? I haven’t heard from greenlots yet as to what DTC 25003 means. An update on this. There is a newer DCFC in my area that DOES work fine with my car, it's the older versions that no longer work for me. I plan to contact the utility that owns them for info. Could this be a software or firmware issue with the chargers? There are not very many i-mievs around here so I haven't been able to flag down another driver to see if they have the same issue. 1pk wrote: Could this be a software or firmware issue with the chargers? 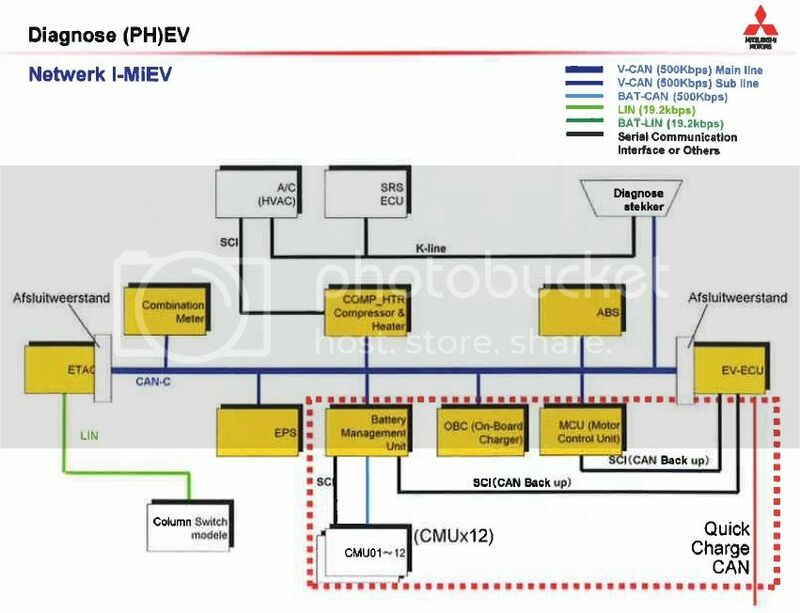 It can't be the On Board Charrger (OBC), as it's not involved in fast charging. But it could be an issue with whatever controls the fast charge, I'm guessing either the BMS master (whatever its proper name is) or the EV-ECU. That determines second by second what the target voltage and current should be; the muscle in the fast charger just does what it's told. Oh its own CAN for Chademo..